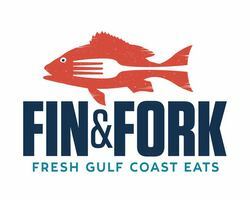 Fin & Fork is YOUR place for FRESH GULF COAST EATS! Fin & Fork is the best Orange Beach restaurant for fresh Gulf Seafood served in a laid-back, family-friendly atmosphere. More than just seafood, Fin & Fork also serves privately farmed Black Angus Beef, house-made Sushi, and a wide selection of Fresh Gulf Coast Eats. We are proud to be one of the few Orange Beach restaurants with a true scratch kitchen. At Fin & Fork, we get started early each day to prepare locally sourced produce, fresh seafood and hand-cut steaks for our signature dishes. If you like fresh. If you like variety. If You love the Alabama Gulf Coast. Fin & Fork is the exciting new restaurant of the renowned Shipp family. Bringing a new twist to some of the most popular menus served in Orange Beach and Gulf Shores, Fin & Fork builds on over twenty-five years of restaurant excellence. The Shipp's, Fin&Fork staff, and our wonderful local suppliers invite you to visit as we build Fin & Fork into one of the best restaurants on the Alabama Gulf Coast.